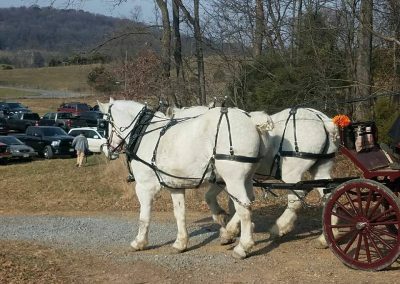 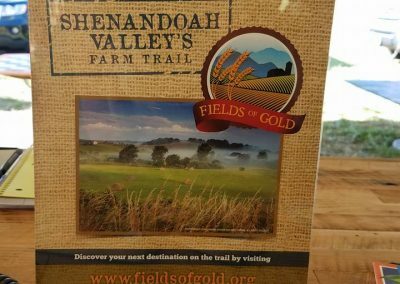 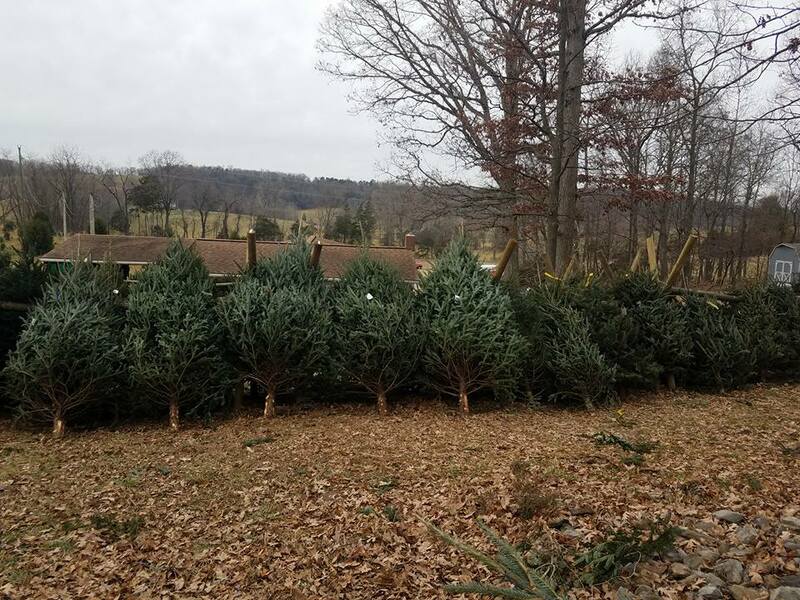 Our family is busy all year planting thousands of tree seedlings, mowing, shearing and scouting trees in preparation for the Christmas season. 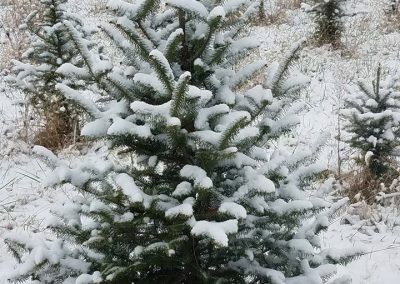 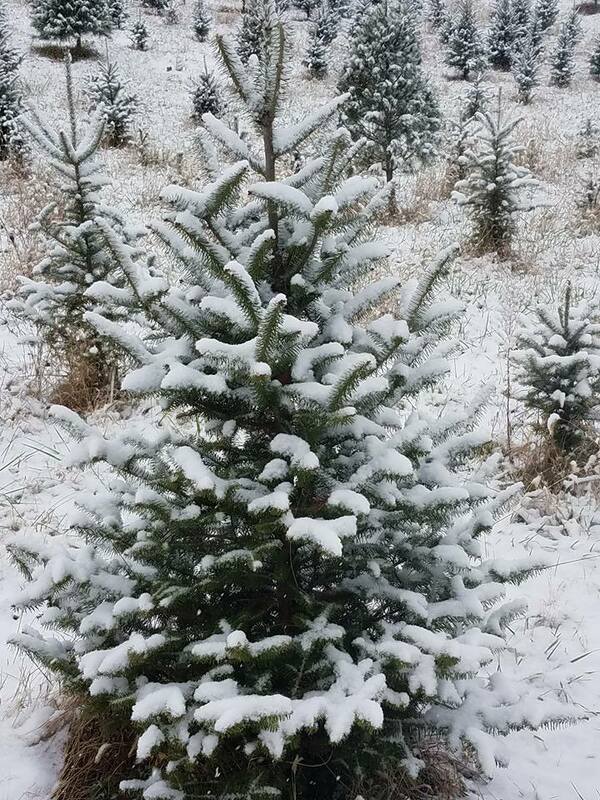 We grow Concolor Fir, Canaan Fir, Douglas Fir, Blue Spruce, Norway Spruce and White Pine on the farm. 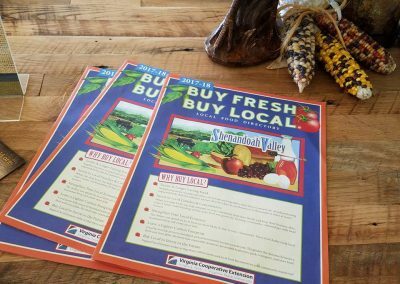 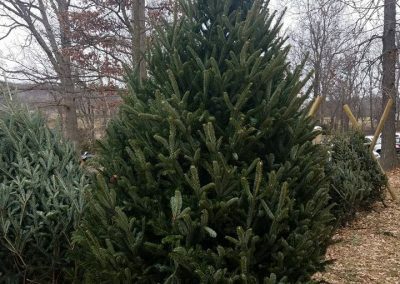 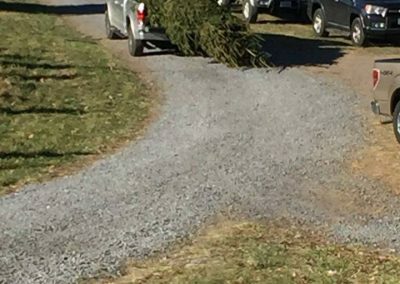 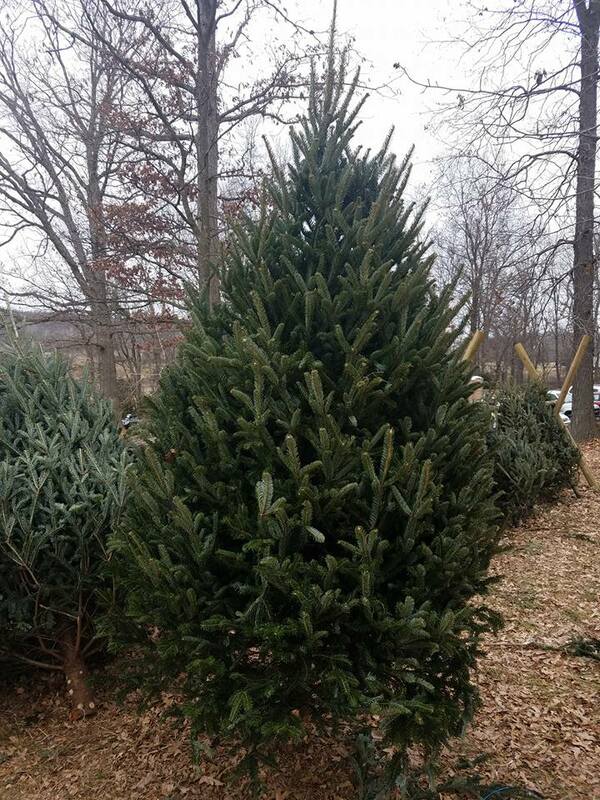 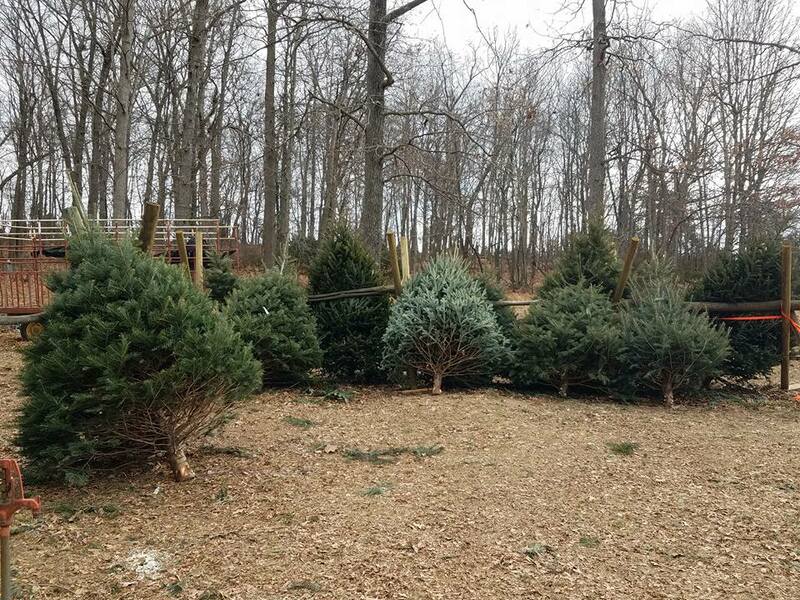 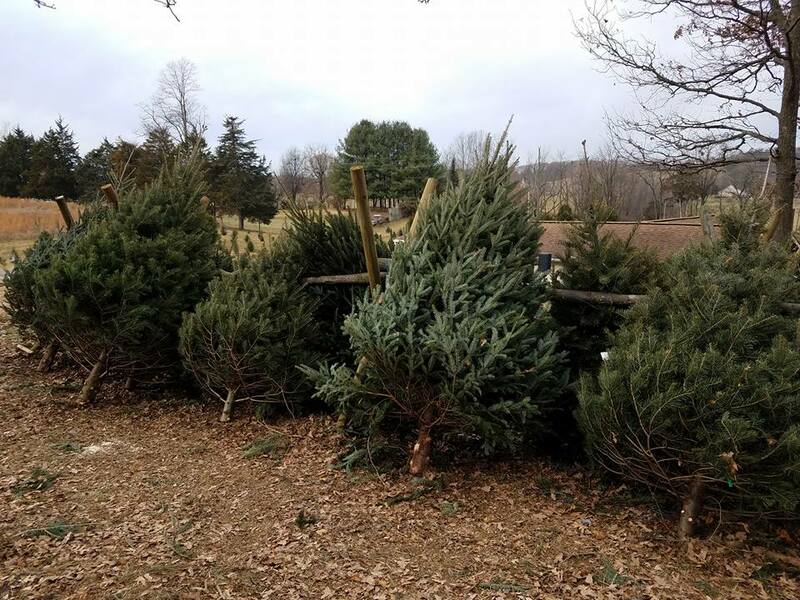 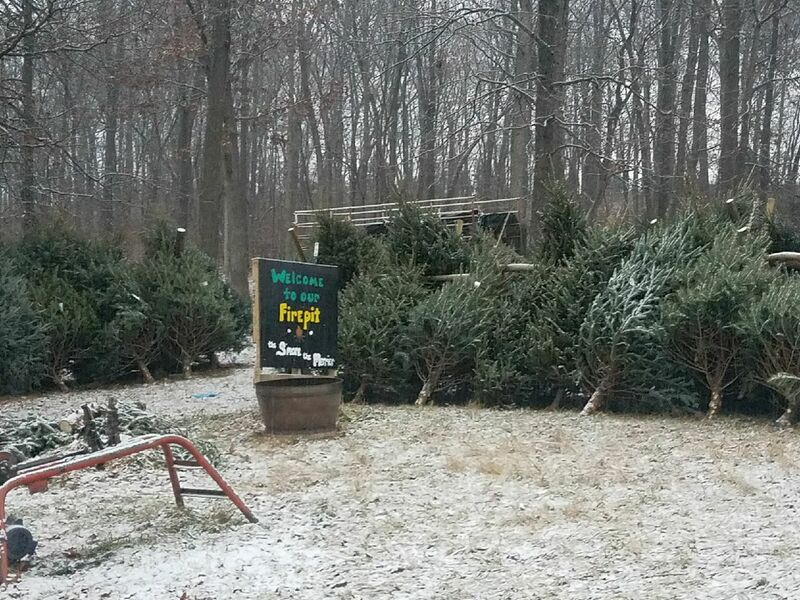 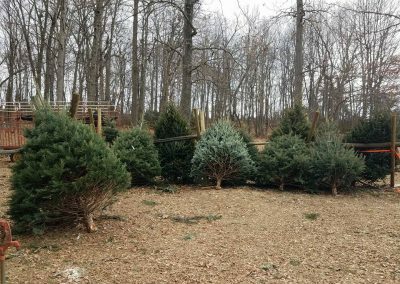 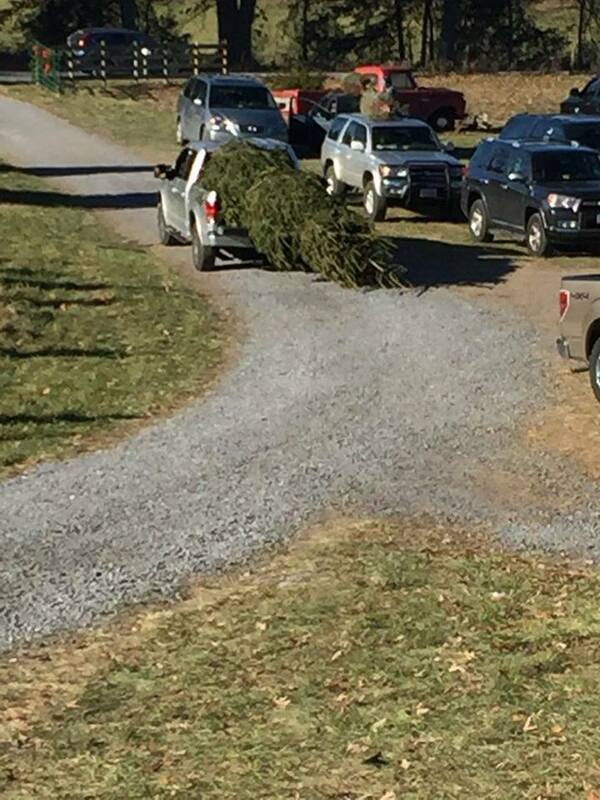 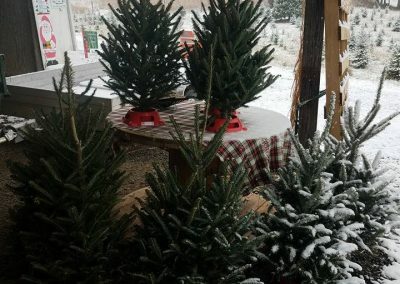 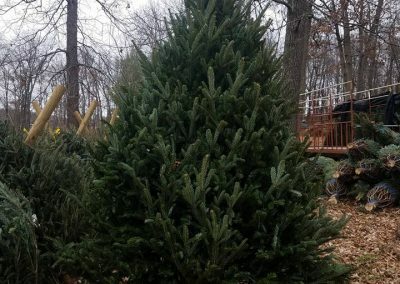 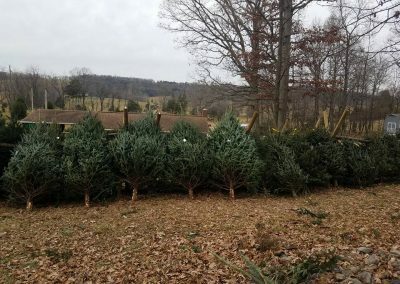 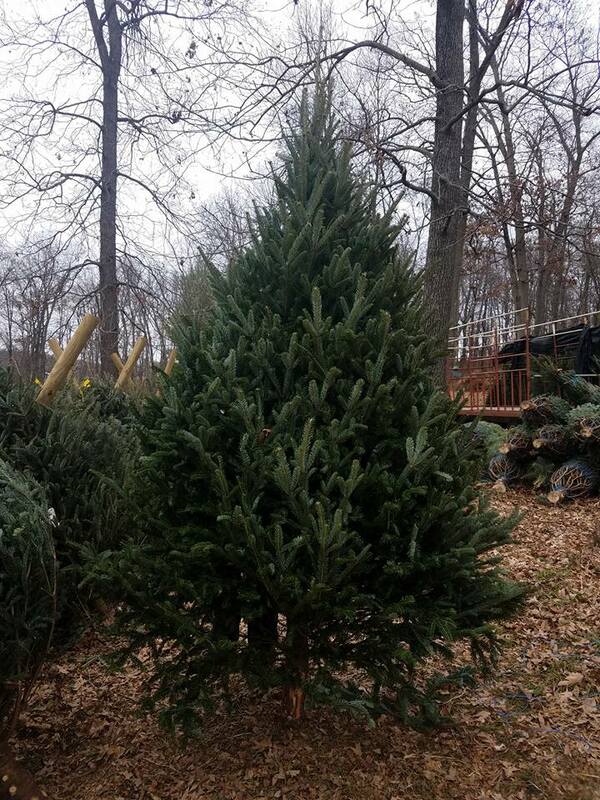 We also offer fresh cut Fraser Fir and other species while supplies last. 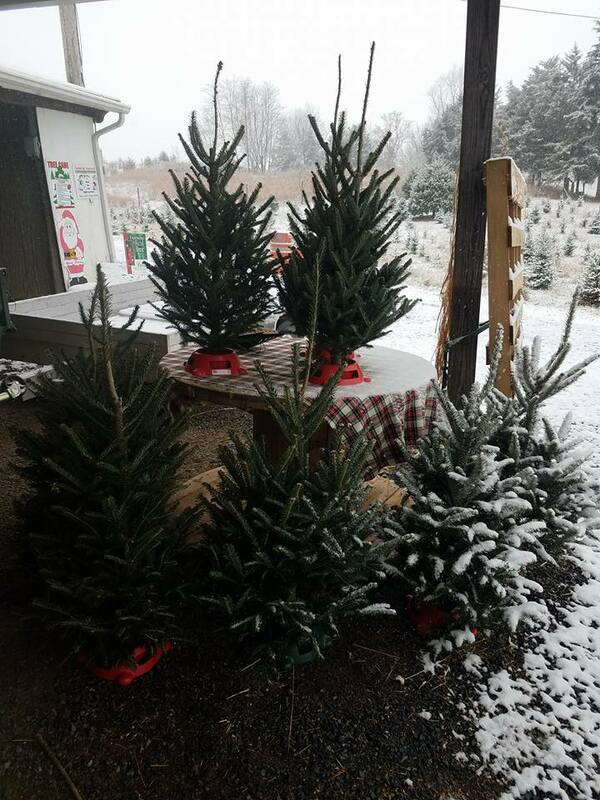 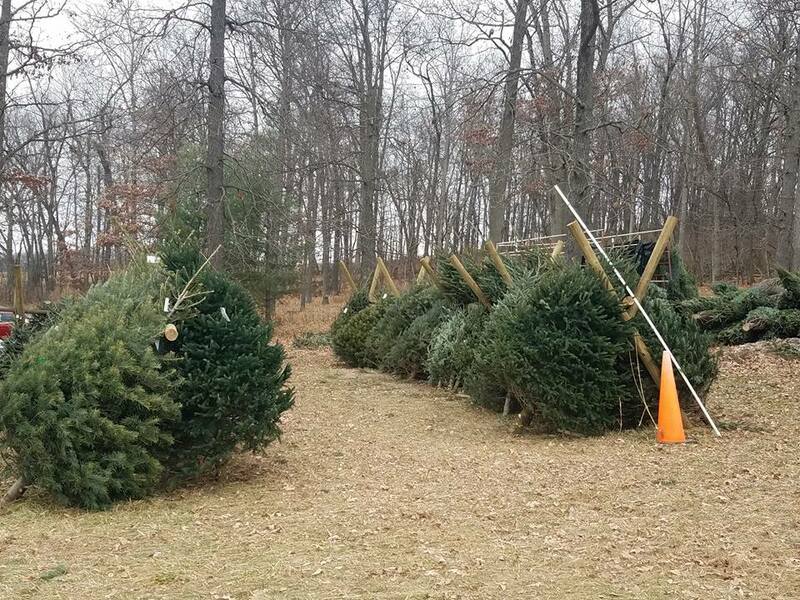 We are pleased to have the privilege to steward the farm to insure you find the perfect tree! 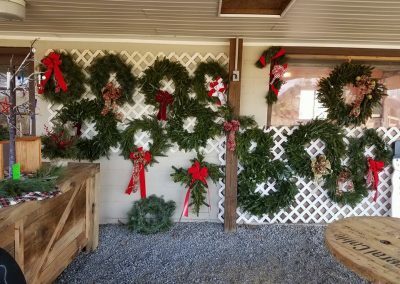 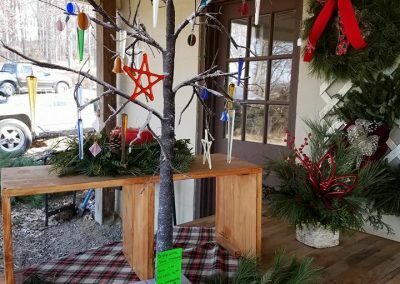 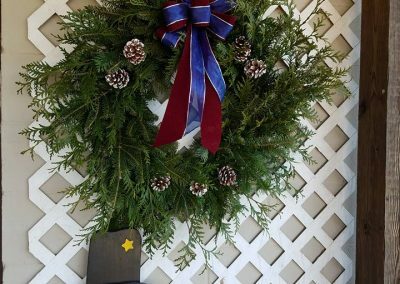 Our girls are busy again this year in our Christmas Shop making Fresh Wreaths, Pine Roping, Swags, Centerpieces, Grave Blankets and many other decorations. 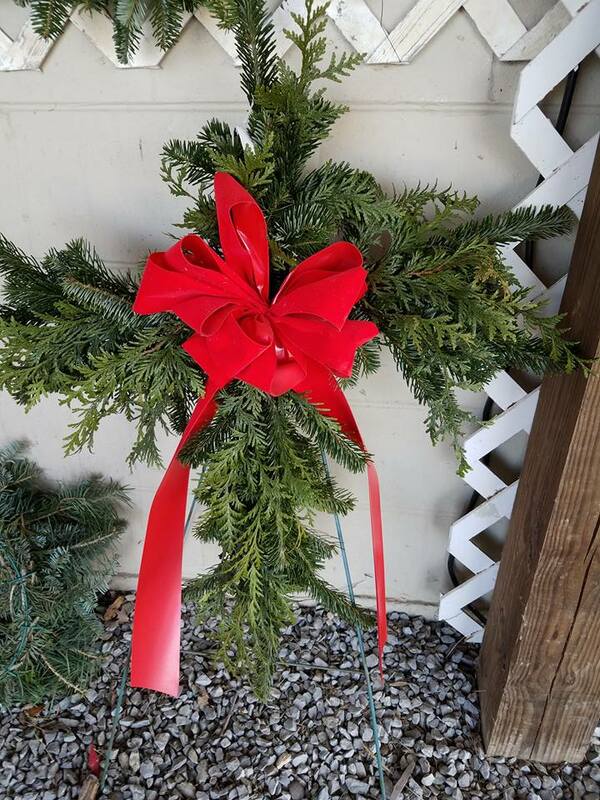 We mix several types of fresh greenery and like to add to the decor cones, berries, bows and more. 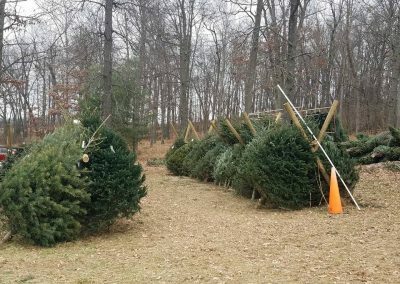 Pine roping is sold in economical rolls and extra thick mixed. 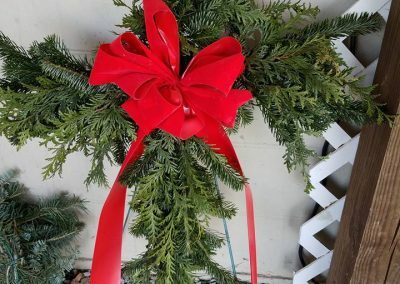 Garland is made by the foot. 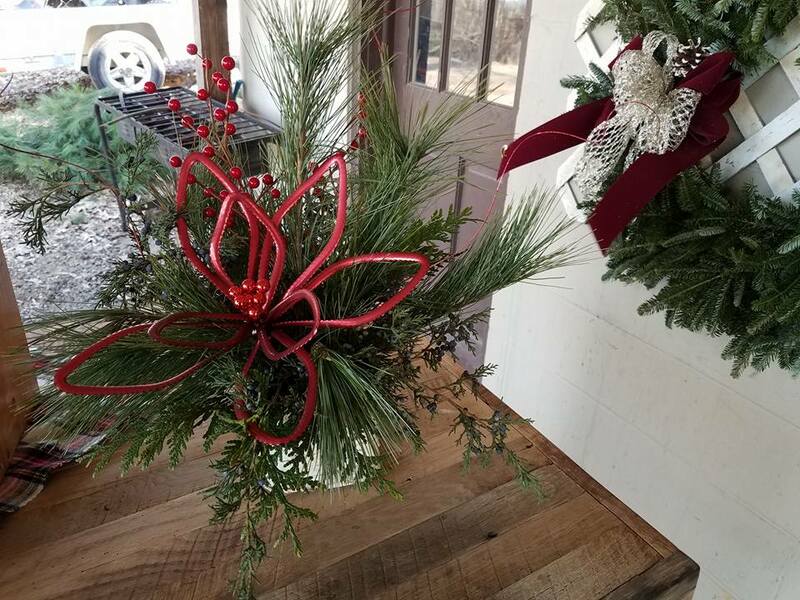 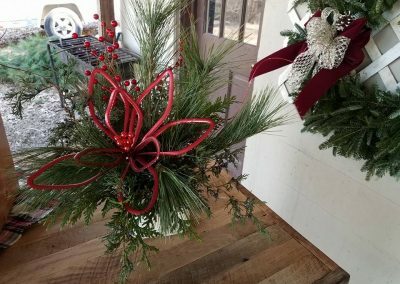 Come visit with us or call and order by phone at 1-540-269-2691 and pickup your freshly made greenery decorations that will add the perfect touch to your home or business for the holidays. 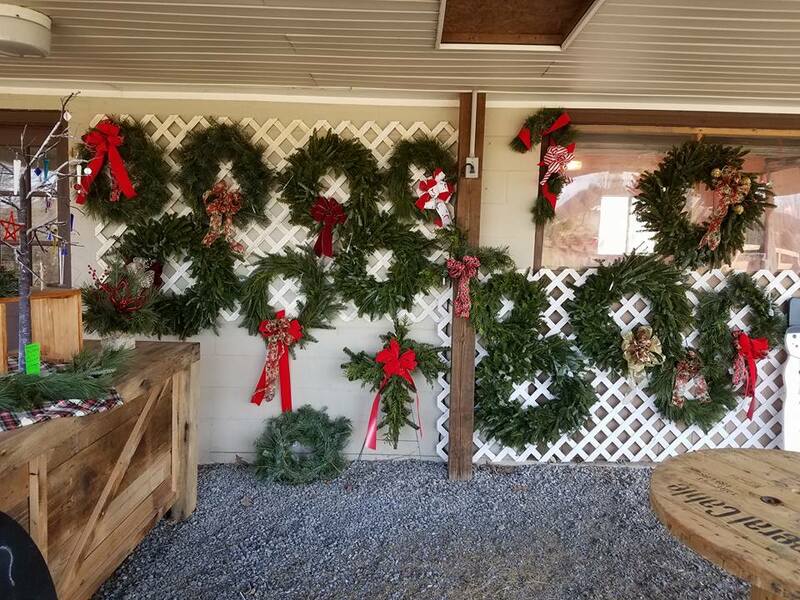 We are a full service farm providing hand saws and assistance available with cutting, twine, shaking, and bailing all at no charge. 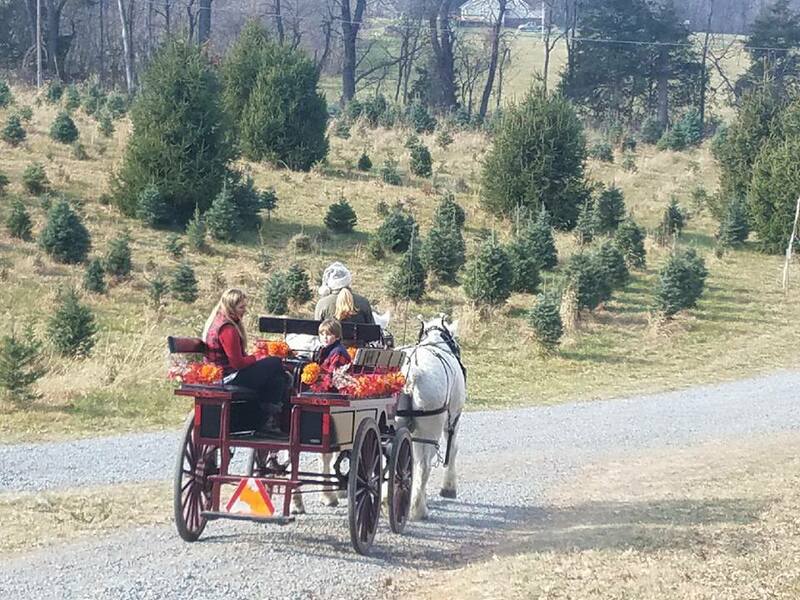 Hang out with us for a while. 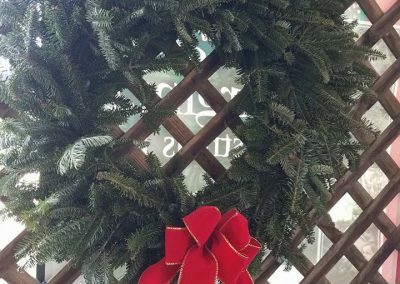 Warm up by the fire while you tell stories and enjoy s’mores if you wish. 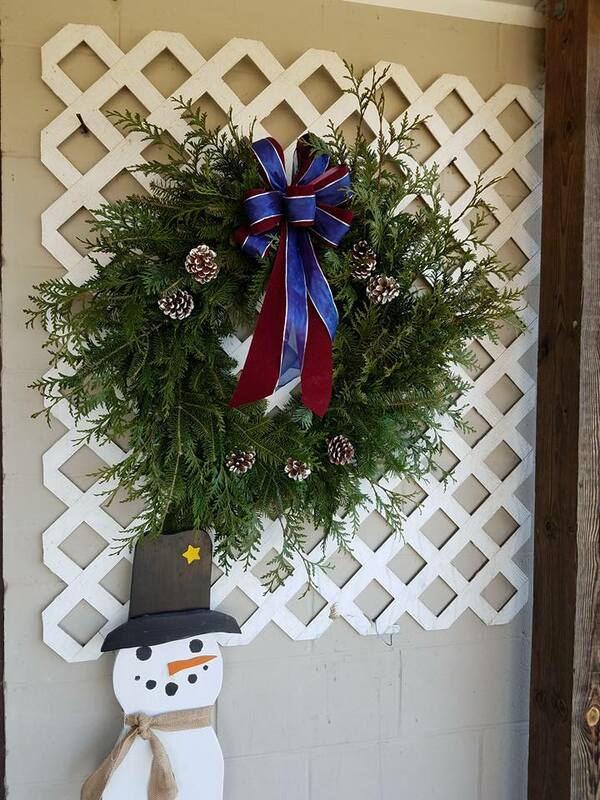 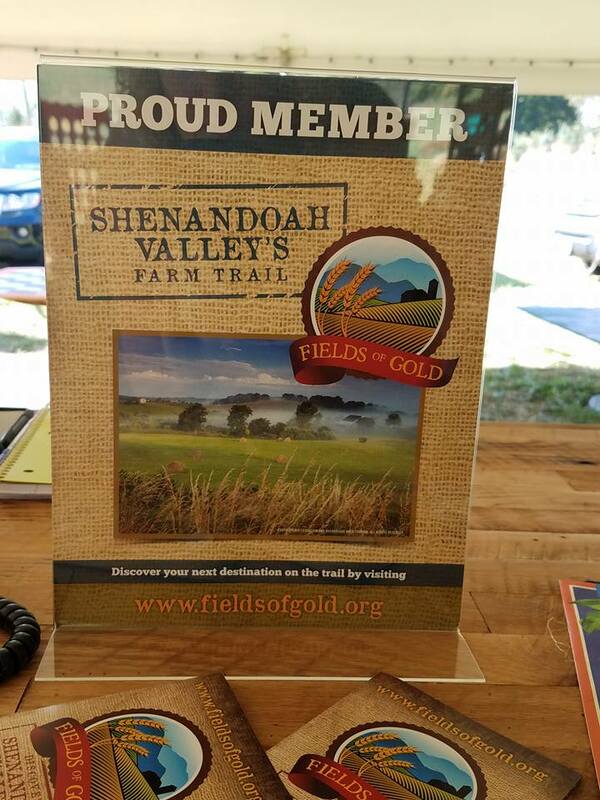 Don’t forget to meet our furry friends at the farm; Jeff the sheep, and Rusty Momma, our Bethlehem donkey. 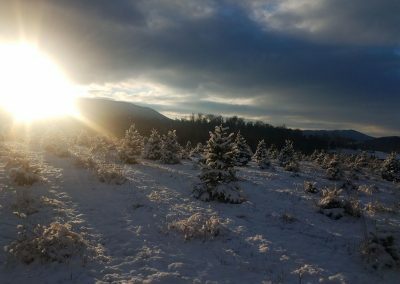 Capture the moment with our professional photographer on site to be sure you get that perfect photo for Christmas cards and albums to be cherished for years to come. 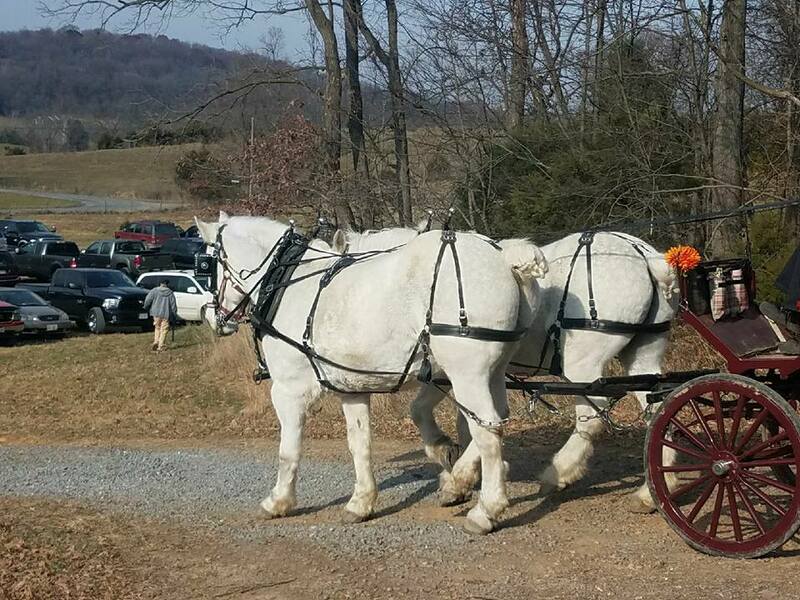 Photographer is available by walk ins during designated hours or you can schedule your appointment today by calling 1-540-269-2691 or contact us here. 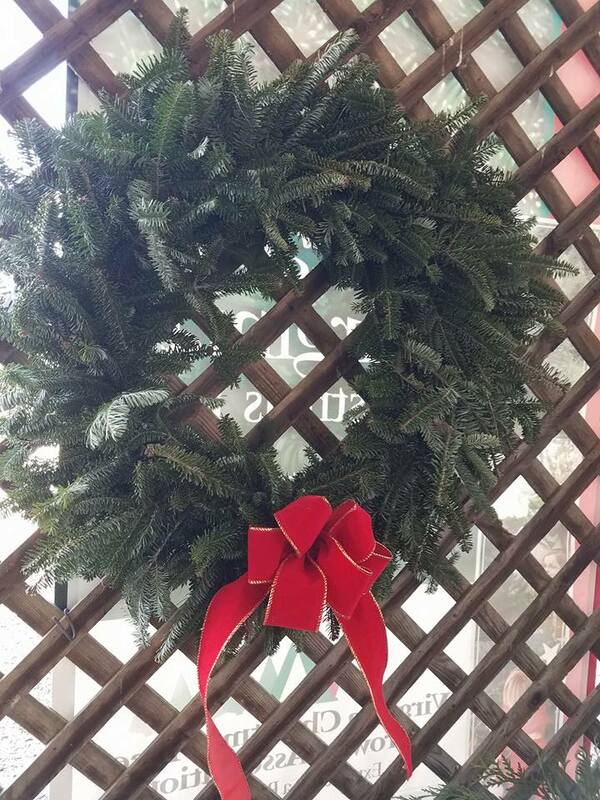 You”ll love our fresh made goodies and hot treats which will be sure to take the edge off the chill of the season. 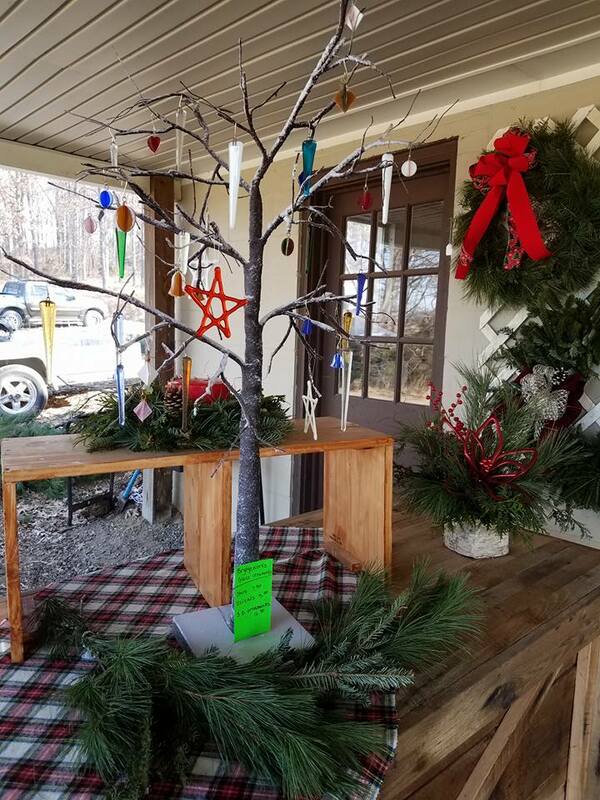 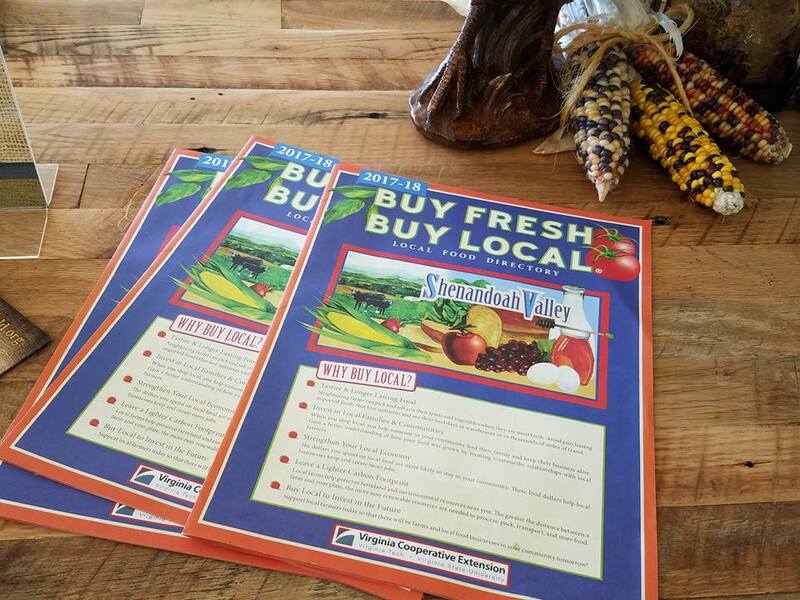 We offer Showalter’s Apple Cider, Local Hott Honey, Gallery Ornaments from Bridgeworks Studio and more.